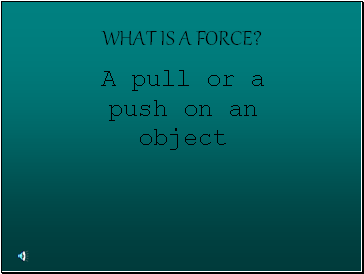 A natural force that pulls all objects toward the center of the earth. 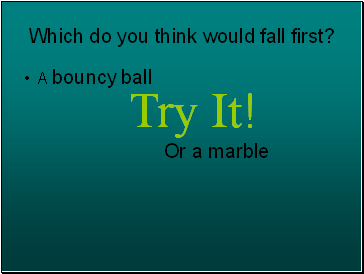 Which do you think would fall first? 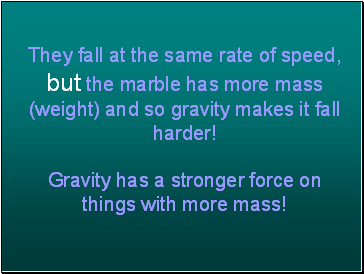 They fall at the same rate of speed, but the marble has more mass (weight) and so gravity makes it fall harder! 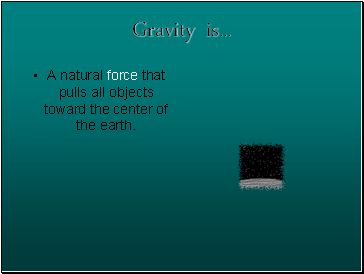 Gravity has a stronger force on things with more mass! 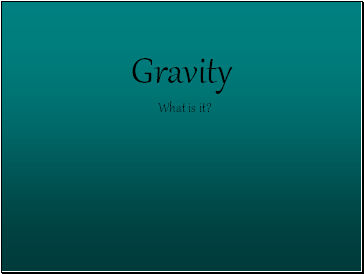 It takes a force to overcome gravity! 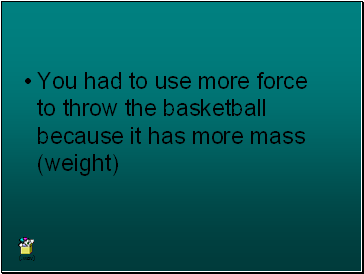 Throw a basketball in the air. 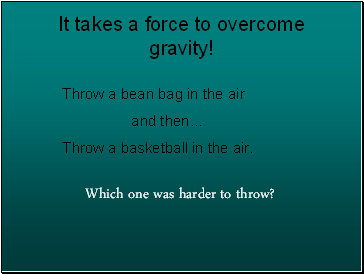 Which one was harder to throw?